I visited the DDO on the night of the supermoon and introduced myself to some of the members and organizers. I managed to give a presentation last Friday for one of the members’ nights, introducing my project and getting acquainted with some of the Toronto members. I was lucky enough to have arrived in Toronto with great timing: some members planned to visit the 74″ scope with cameras – a first for the club since it took over managing the observatory four years ago – and I got to tag along with my planetary imager and dSLR. 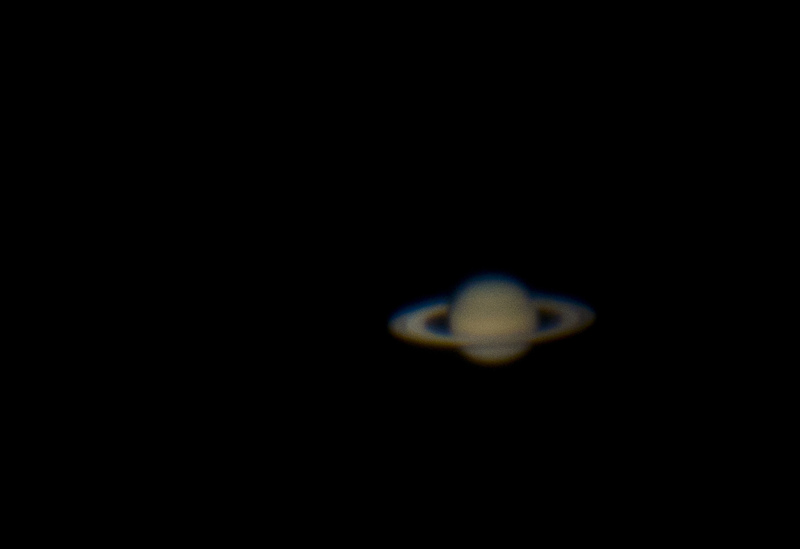 I was thrilled to see the Cassini Division for the first time, and capture it in the photographs I shot. Tonite I returned for a member’s viewing night and managed to capture a handful of images by projection with the dSLR. 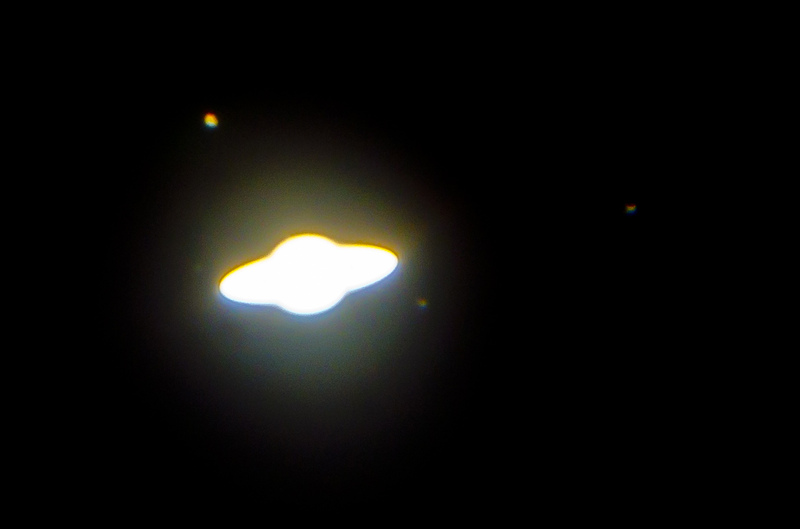 The image above is obviously overexposed, but it’s the first time I’ve captured any of the major moons in an image. This image, above, by projection, was processed using PShop. I’ve downloaded Keith’s Image Stacker, but haven’t opened it yet. So much to learn!! Everyone I have met at the Toronto club is friendly and inviting. I continue to exhaust myself with the excitement I feel about looking, and shooting, it’s great! One club member/organizer has begun to call me the Artist in Residence, and several possibilities may pan out for projects. The administration building has a beautiful, yet empty, library, within which an exhibition could be mounted. Tonite someone suggested a wall/ceiling piece. And, I looked through some of the print file drawers left behind by the UofT – they are full of printed and transparent star charts, and photographs [negative and positive]. I would LOVE to create a work based on these charts, but may need to negotiate access to them with a proper proposal….all in good time….I have 15-20k words to write about that other project first…. 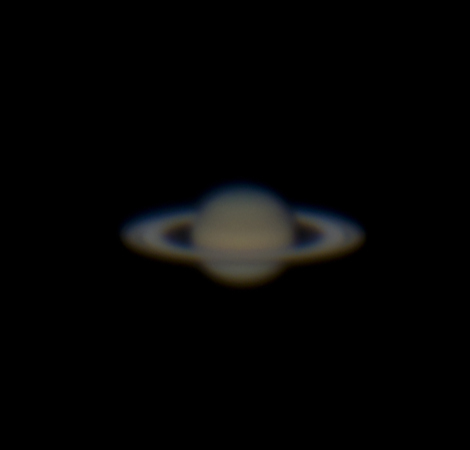 This entry was posted in David Dunlap Observatory, Images of Saturn. Bookmark the permalink.